This revolutionary product applies like polish, wears for up to 14 days of high gloss shine, and is removed in minutes. Includes a dry manicure of cuticle removal and nail shaping prior to shellac application. And finally a relaxing hand massage. A perfect, classic manicure: Includes nail shaping, cuticle removal with and e-file avoiding the use of nippers, hand massage and gel polish. A classic manicure that includes your nails being dipped in a powder to make them harder and stronger. Lasts longer than shellac polish. A perfect, classic manicure: Includes nail shaping, cuticle removal, hand massage and polish. This treatment begins with a vitamin infused hand massage followed with a sea salt scrub and then a Russian manicure. It is completed with a hydrating mask and cream application. Champagne is included. A perfect, classic manicure: Includes nail shaping, cuticle removal with and e-file avoiding the use of nippers, hand massage and polish. We apply an artificial tip to your nail and then dip it in powder. For those looking to make their nails stronger as well as longer . Enjoy a truly unique and relaxing pedicure every time you come in. Includes a foot soak, exfoliating foot scrub, callus removal, nail shaping, cuticle work, relaxing warm stone massage and perfect polish. This is our Botanica pedicure with gel polish applied. It wears longer, is dry instantly and keeps that high shine. For the person on the go, a mini version of our Botanica Pedicure fit to your hectic schedule. Includes foot soak, scrub, cuticle removal, nail trimming and filing, and finished with polish. Our pedicure is enhanced with a much longer foot massage, a warm paraffin foot dip, champagne and chocolates. It also includes an eye treatment, shellac polish and hot towels. Add-ons for your hand and foot treatments. $15 – Paraffin Treatment – Hot wax is applied to add moisture and give relief. $10-20 – Dip Removal – acetone and foil is wrapped around each finger to remove your dip product. ($10 with nail service). $5-10 – Shellac Removal – acetone and foil is wrapped around each finger to remove your gel polish. ($5 with nail service). $5-10 – Toe/Foot Wax – Remove unwanted hair from the feet and toes. $5+ – Nail Art – Choose from our selection of stones and decals. 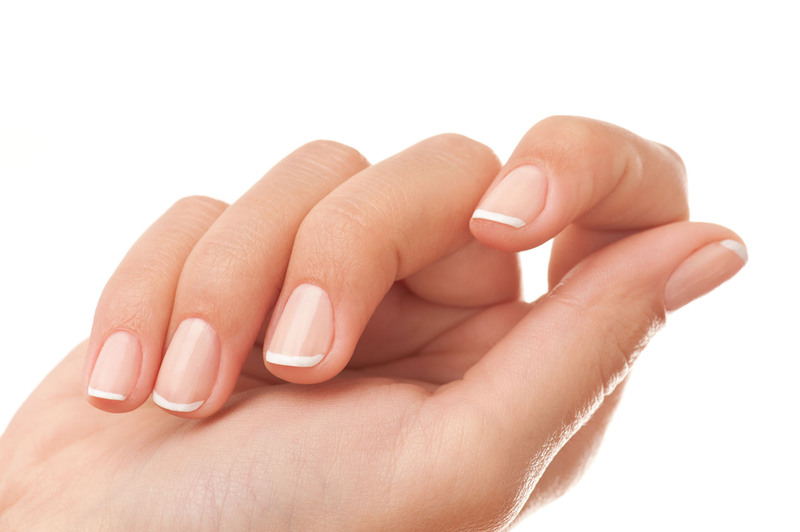 $6 – French Polish – The classic white and pink polish.